Florida Board Certified Workers’ Compensation Attorney Michael J Celeste Jr. When an injury temporarily or permanently takes away your ability to provide for you family, anxiety, depression, and fear of the future take over. Because of the difficult situation you, as an injured worker, have been put in, it only makes sense to seek out the most experienced, qualified workers’ compensation attorney available. There are many options in West Palm Beach, but very few have the history of success, qualifications, and passion of the attorneys at Celeste Law Firm. Furthermore, Michael J Celeste Jr. is Florida Board Certified, a certification that few attorneys have attained in Florida. According to the Florida Bar, only seven percent, or 4,800, attorneys who are eligible Florida Bar members are board certified in our state. What does board certification mean? The Florida Supreme Court established board certification in 1982 to assist the consumer in selecting qualified specialists in the type of law in which they need legal assistance. Being board certified means that the attorney has achieved the highest level of certification under the Florida Bar Association. There are 25 areas of law in which a Florida attorney can achieve board certification (the title of B.C.S); Workers’ compensation law is one of those. You can search for all board certified lawyers in the state here on the Florida Bar’s website under Certified Lawyers. 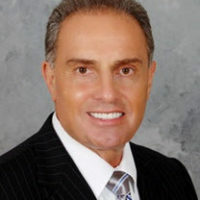 Michael J. Celeste, Jr. achieved Board Certification in 1998. Earn a passing grade on the exam to which is administered to all new applicants, or meet the necessary strict criteria in order to exempt the exam. If you were hurt on the job, do not hesitate to reach out to us today at 561-478-2447 in order to schedule a consultation with Florida Board Certified workers’ compensation attorney Michael J. Celeste. The West Palm Beach Celeste Law Firm is here to help in your and your family’s time of need, and will work tirelessly to ensure that you receive the benefits that you deserve to get back on your feet.